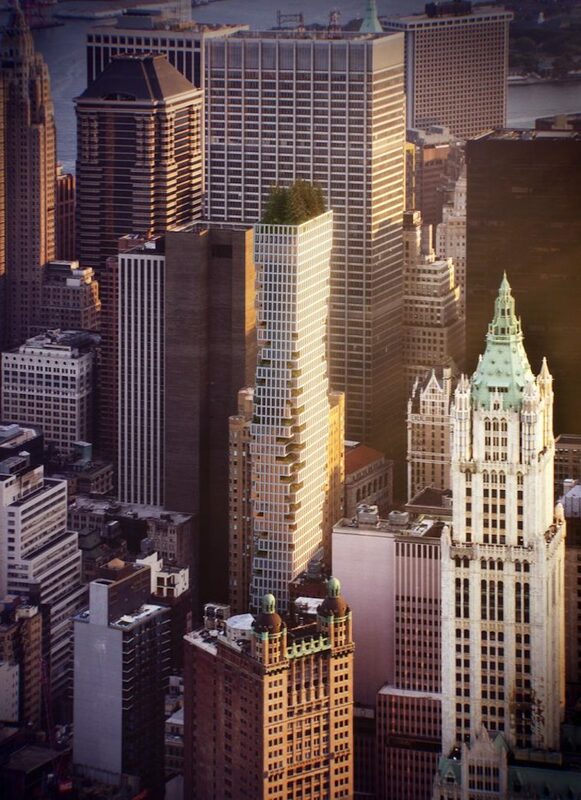 First renderings of ODA Architecture’s 13-story tower planned for Greenwich Village reveal a Tetris-inspired, boxy design, YIMBY reported on Wednesday. 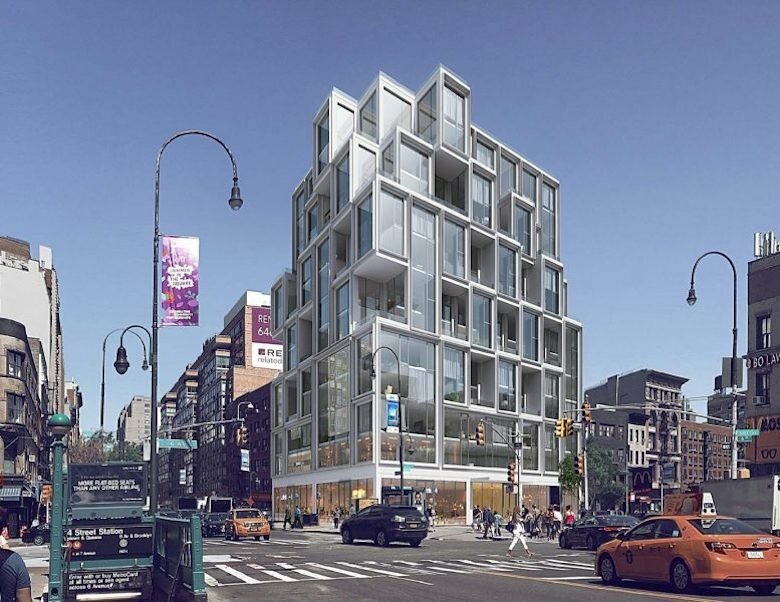 Much like the firm’s other projects, the facade of the building, located at 101 West 14th Street, will look like a series of sculpted, stacked boxes. Developer Gemini Rosemont has filed permits to convert the site which currently holds a former bank into condos with ground floor retail. There will be 45 condos total, with 21 of them duplexes. The unique facade is meant to create more space for residences while maximizing privacy among neighbors. A similar look can be found at ODA’s Long Island City rental, 2222 Jackson Avenue, which made its debut in 2016. 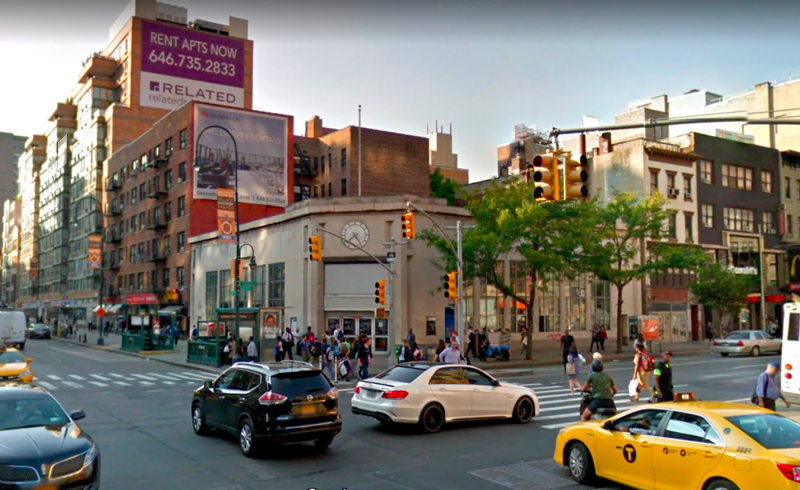 The West 14th Street building, which sits directly next to the 14th Street and Sixth Avenue subway station and on the edge of the Meatpacking District, will be 145 feet tall. Overall, there will be more than 54,000 square feet of residences and 5,830 square feet for two retail spaces. A tenant lounge and fitness center will be located on the second floor of the building. Other amenities include a rooftop terrace, bike storage, on-site laundry and a second fitness center in the cellar. As 6sqft reported in April, graffiti artist Banksy added a design to the former bank building, painting a rat inside of the exterior clock. That’s not the only art found in the building (although Banksy’s rat has seen been removed). A 1954 mural, “A Memory of 14th Street and 6th Avenue” measures 110 feet on a wall inside the bank building. As the New York Times reported last fall, Gemini Rosemont has not decided whether to keep the mural or not, as demolition permits have been filed. Update 7/25/18: A reader tells us the mid-century mural inside of the building was saved last February by Jamestown and Google. Jamestown told Chelsea Now it bought the mural from the developer, Gemini Rosemont, for $50,000.